There is also concern trolling over the Northern Airport Line sharing road space with cars and airport passengers mixing with general commuter traffic. That picture is the successful Gold Coast Light Rail line running down the Gold Coast Highway that will eventually connect to its Airport (the LRT project is done in stages just as ours would be). It is separated from the general traffic and has priority at intersections. From Dominion Road interchange with State Highway 20 through to the Airport the Northern Airport Line would be fully grade separated just like our heavy rail lines so no traffic interference there. In the City Centre the Northern Airport Line might mix with general traffic however, I suspect general traffic would be removed from Queen Street by then eliminating that issue. The beauty of the Northern Airport Line from the Airport to the City Centre via Mangere and Dominion Road is that it opens up large areas of Auckland often forgotten about that can not access the rail network. 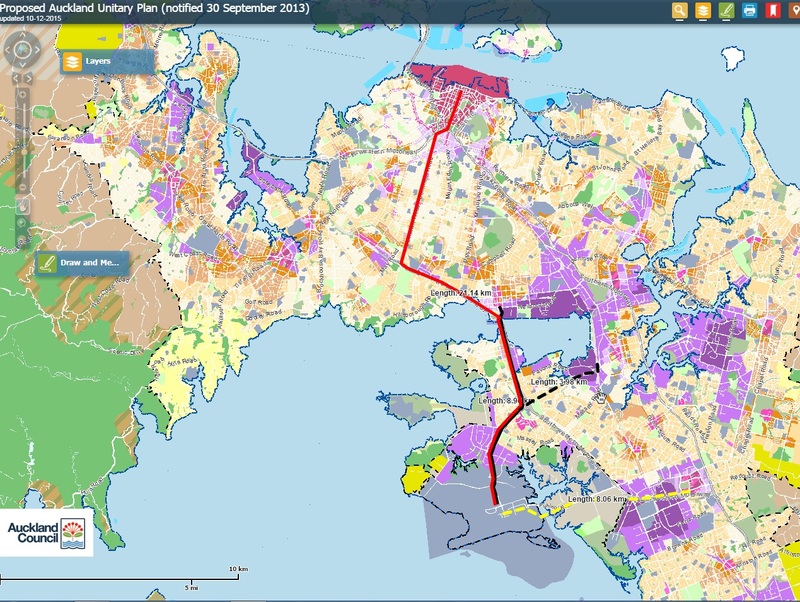 The Northern Airport Line for the first time gives them their own part of the wider Rapid Transit Network opening up connectivity across a wider area of Auckland. 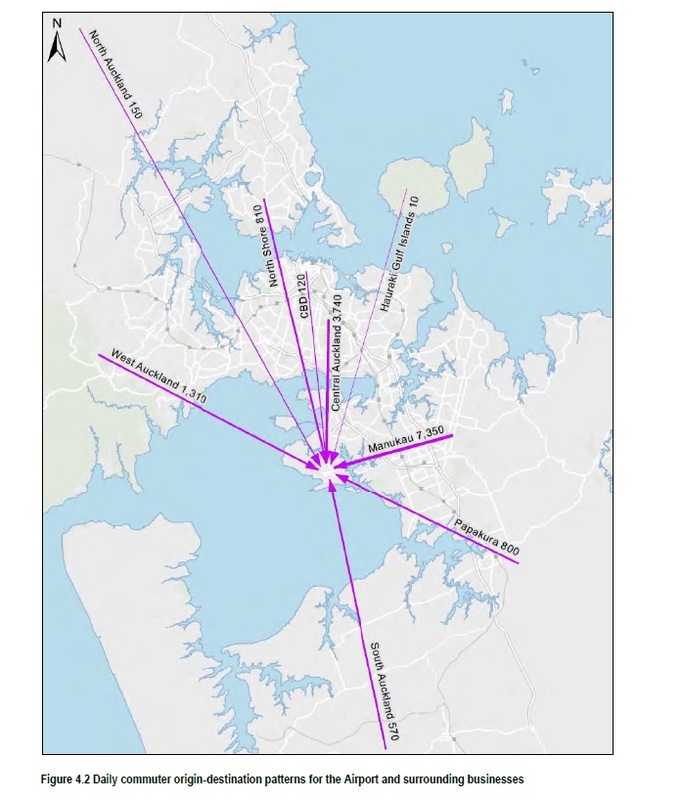 The Northern Airport Line connects not only with the Airport but also with the heavy rail network at Onehunga, Mt Eden Station and indirectly the K-Road Station (post City Rail Link) widening the connectivity and accessibility there. The trains to be used on the Northern Airport Line could hold 420 passengers with a frequency of every 3-5 minutes. The heavy rail network can move 750 passengers every 10 minutes although can hit every five minutes if the signals are fully upgraded to rolling block class. So capacity will not be an issue with the Northern Airport Line nor will general traffic interfere with its running either. Travel time would be around ~45 minutes fully optimised. With hauling luggage? Both Lines will have busses/trains that have their floors at platform level allowing easy access with luggage just as overseas. Given you haul your bags around more in an airport’s departure or arrival lounge the point becomes moot when handling transit. The Southern Airport Line (also known as the Botany Line) starts as a Bus Rapid Transit system from the Airport to Puhinui Station then out to Manukau City Centre, Botany and Howick within ten years after that. If coming from the City Centre you would take a Southern or Eastern Line train to Puhinui that will take about 30 minutes post City Rail Link. At Puhinui you transfer to the Airport Bus that should then take around 10 minutes down the Bus-way to the Airport giving a total time of about 45 minutes including transfers. If express trains are running from Pukekohe and Papakura to Britomart a stop could be placed at Puhinui allowing an even quicker trip to the Airport (something to watch as Pukekohe Electrification and the Third Main is rolled out). So if you are inclined the Southern Airport Line coupled with the Southern or Eastern Line would be your more express route as such to the Airport. But the main reason for the Southern Airport Line is the reason I have campaigned so hard on for the last six years: it allows me a direct transit route from Papakura to the Airport with a single transfer at Puhinui. No more getting stuck on the roads like last Friday where it took 75 minutes from the Airport to Takanini! The Southern Airport Line also links up south-east Auckland to the Airport and Manukau giving them an option that is not just the car. 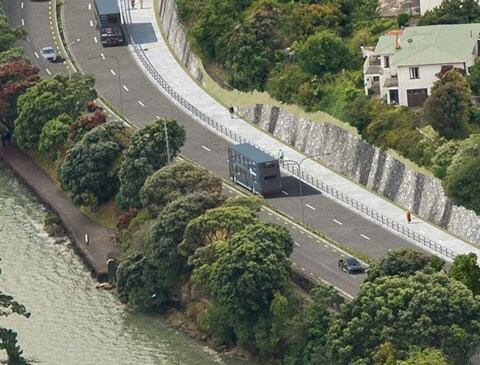 For those closer to Manukau itself catching a feeder bus to Manukau then transferring to the Airport Bus at Manukau also becomes available (well better travel times than the current 380 Airporter bus). If you are on the North Shore you would catch the NEX as current to Wynyard Quarter or Downtown and transfer to the Northern Airport Line to carry on to the Airport. Those are the “optics” of the Northern and Southern Airport Lines. Both go to the Airport but both serve different purposes and catchments in their trips to and from the Airport. This is why Labour and the Greens are very wise in getting both Lines built ASAP with the Southern Airport Line going first to utilise existing networks and latent demand for the Airport until the Northern Airport Line is operational. I also call this a Quick Win in regards to the Southern Airport Line. Any questions feel free to leave a comment below, in Facebook or Twitter. I will do my best to answer and if not will refer to Greater Auckland for their help. Hey Ben, thoughts on the Southern Airport Line being built as LRT from the beginning versus the current policy of BRT? (especially if connecting through to Botany). On a greenfields site like this I can’t imagine the costs being that much different except the actual trams themselves being built for a longer life than buses – certainly operating costs should be lower than buses. The marginals will need to be quite high to go all in with LRT unlike the 4th main where an extra $100m gave us a good marginal return compared to just doing the 3rd main. Patrick was saying the Southern Airport Line can go to LRT in time when there is demand. I am inclined to agree on this one. Business case on the Southern Airport Line is due out early next year so will be very interested to see the workings. 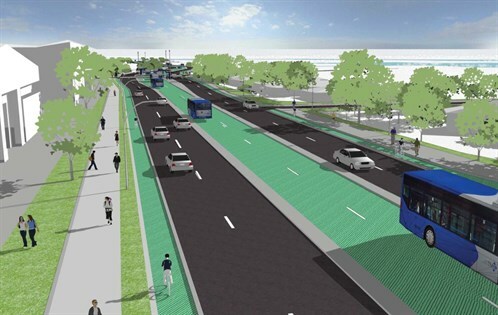 Will be interesting to see for sure considering the Nats plan for the NW busway came in at $835m which is fairly similar. If it was $1B vs $835m then I would argue that LR would make more sense. Of course you know my position is that I would still prefer airport HR from Puhinui. 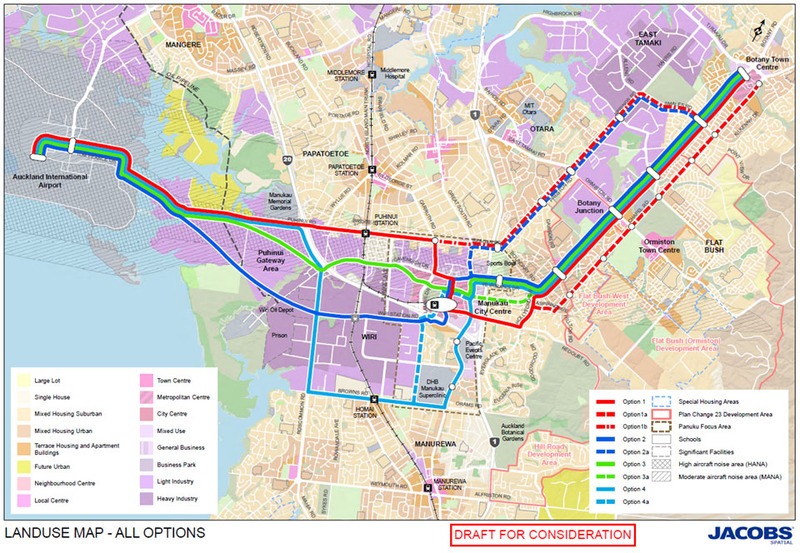 While that would slightly orphan Botany LR it would be large enough that it would be fine (LR is good like that) and then eventually could be linked back in via the AMETI busway.